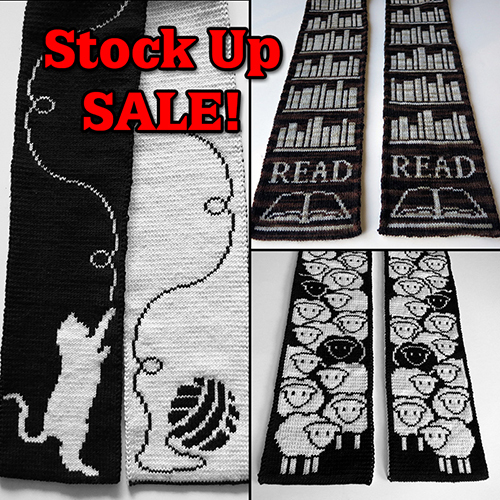 Knit this reversible Book Lover Blanket to show your love for books and reading! 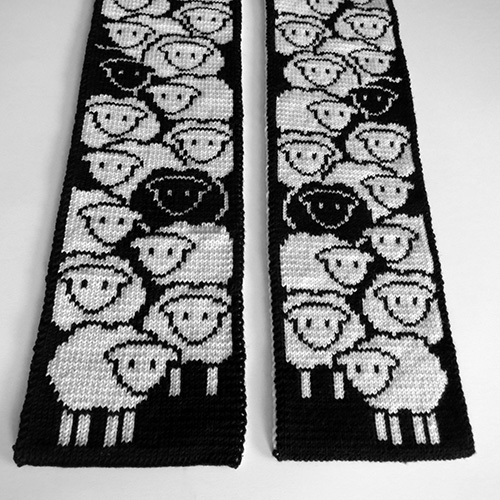 Knit this cute, reversible sheep scarf with an entire herd of sheep along its length! Free Cat Playtime Potholder Pattern! 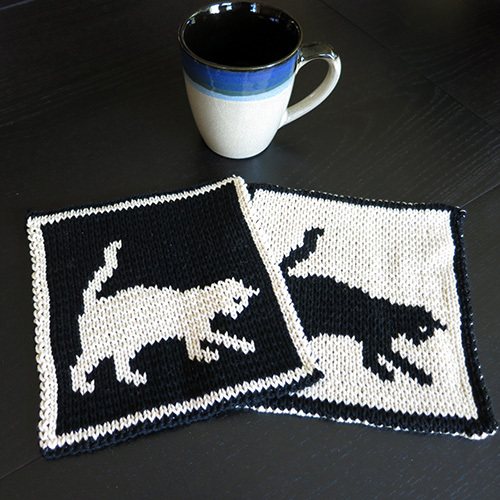 Sign up for my mailing list and get the Cat Playtime Potholder pattern for free! View all the nifty patterns I’ve created! Readers rejoice! 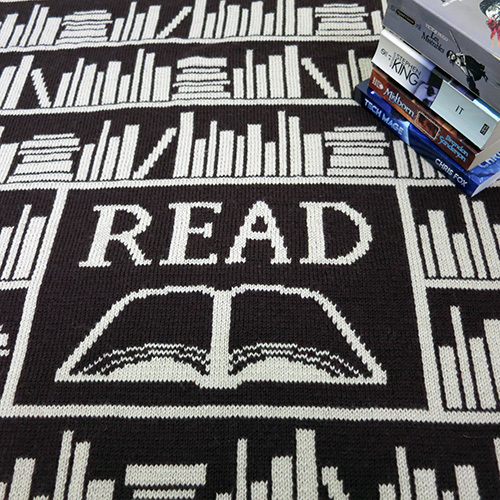 You can proudly show off your love of books with this Book Lover Blanket. The blanket is filled with rows and rows of bookshelves. In the center is an open book and the word “READ” in large letters. Snuggle under this blanket while reading your next book! View more details about the pattern here or buy this pattern now on Ravelry (15% OFF!) or Etsy. 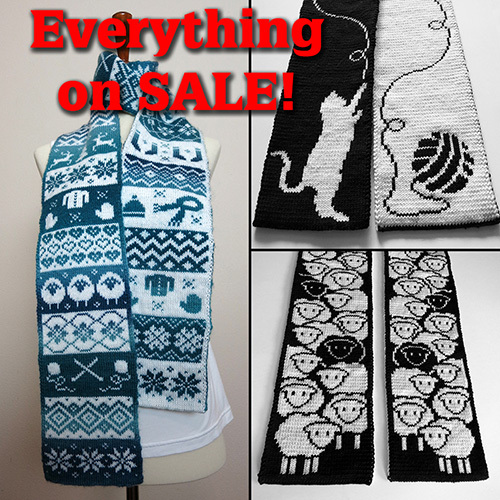 It’s time to stock up on patterns with my Stock Up SALE on Ravelry! 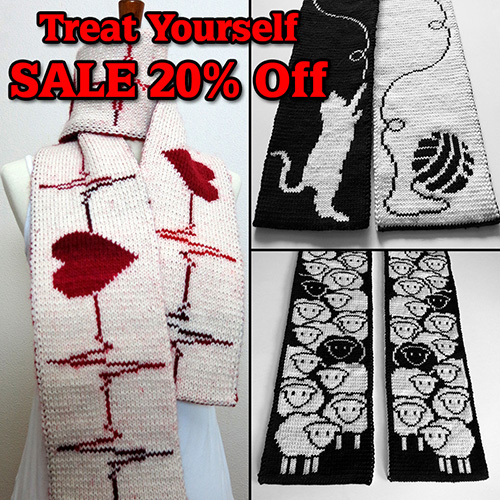 Check out the sale on Ravelry! Sale ends February 28th. Can’t stop the signal! 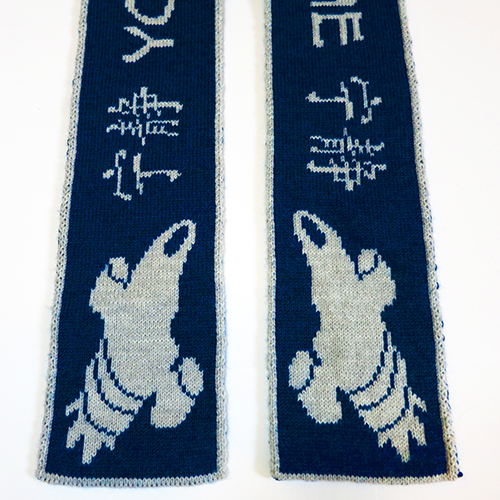 Fans of Firefly/Serenity, you’ll love this Serenity Scarf! It features the Serenity ship at both ends with the Chinese “Serenity” symbols. 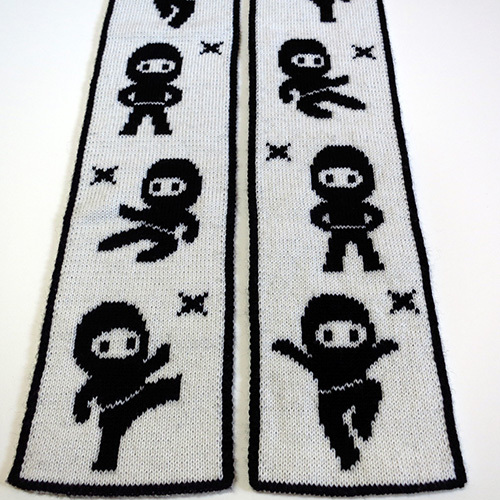 Along the length of the scarf reads “You can’t take the sky from me”. Wear it to your next Shindig! View more details about the pattern here or buy this pattern now on Ravelry. It’s a Valentine’s Sale! 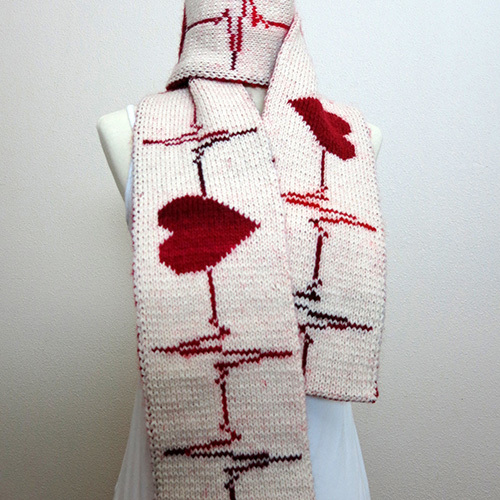 Pitter-Pat Scarf and Love of Cables Pillow are 20% off on Ravelry through February 14th! As a cat owner and knitter, I know it goes without saying that keeping cats away from yarn is a project in itself. 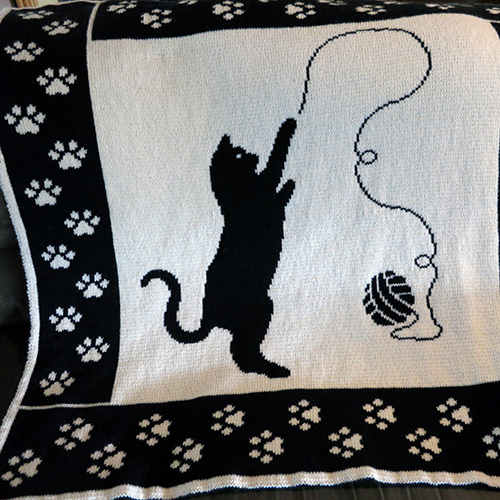 With the Cattitude Blanket, I wanted to show the playfulness of a cat going after a ball of yarn, with the yarn ball unwinding as the cat plays. A pawprint border decorates the edges of the blanket. It’s perfect to snuggle under with your kitties! Double knit, the blanket is fully reversible, featuring opposite color schemes on each side. Solid colored yarns show off the design the best, but a subtle heathered or tonal colored yarn can give it a nice uniqueness. Full instructions are included for the double knitting technique. View more details about the pattern here or buy this pattern now on Ravelry or Etsy. I now have a mailing list for my patterns. 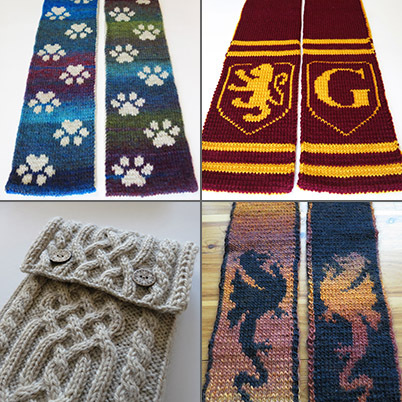 If you’d like to be notified when I have sales, special offers, or release new patterns, sign up here. You’ll also get the Cat Playtime Potholder pattern for free when you sign up!